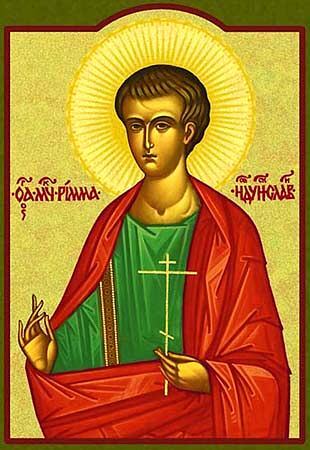 The Holy Martyrs Inna, Pinna and Rimma: The Transfer of the Relics to Alushta was during the I-II Centuries. 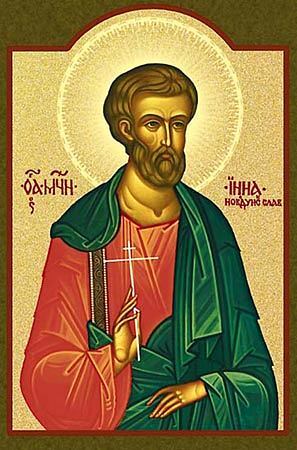 The Holy Martyrs Inna, Pinna and Rimma, – Slavs by birth from northern Skythia, – they were disciples of the holy Apostle Andrew the First-Called. They taught about the Name of Christ and they baptised many barbarians converted to the true faith. For this there were seized by the local prince, but they would not recant from Christ nor would they offer sacrifice to idols. A fierce winter then prevailed; the rivers were so solid with frost, that on the ice there travelled not only people, but also horses with carts. The prince gave orders to put large timbers on the ice and bind the saints to them, gradually lowering them into the freezing water. When the ice reached the necks of the saints they, worn out by the terrible cold, offered to the Lord their blessed souls.